There is no more gap of air between the touch panel and the LCD, which will reduce the reflection of light. And the Magic Color Panel enhances the quality and clarity of the image and adjusts the brightness of the dark part of an image. The MagicColor panel has unique structure,which combined grass and touch panel into a whole touch thing,which increases respond speed,no more delaying. MagicColor screen and tough aluminum alloy back cover, achieve the 8.6mm thickness KNoteGO,the host uses a tough aluminum alloy back cover, ergonomic design, curved touch, triple process to ensure its invariant bend, do not shake, to achieve more reasonable, more scientific slim design. The KNoteGO matching keyboard holster,which has exquisite workmanship,simple design,especially can fluently matches with the KNoteGO tablet,the users can use it to run various tasks and applications.Also the comfortable touch quality can give users enjoyment. 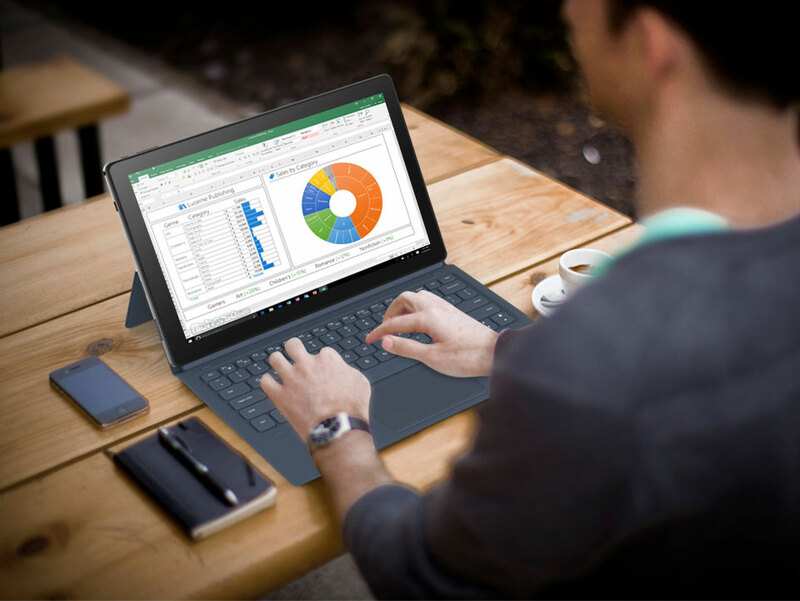 The backplane can be adjustable into portable angels you need,give you comfortable operating position,wherever you are in office,coffee shop or just home.The keyboard surface is scratch-resistant and ultra thin,it should provide the ultimate protection for the touchscreen. The ApolloLake processor has the max 2.4GHz frequency,has extraordinary task-running performance,also has excellence on FHD video and games playing. The KNoteGO uses LPDDR3 technology,4GB RAM is helpful to achieve more programs open,eliminating the trouble of frequently cleaning up the cache,bringing more smoother and better operation and image display,128GB storage hard disk space can meet the office people file storage needs,make life efficient. 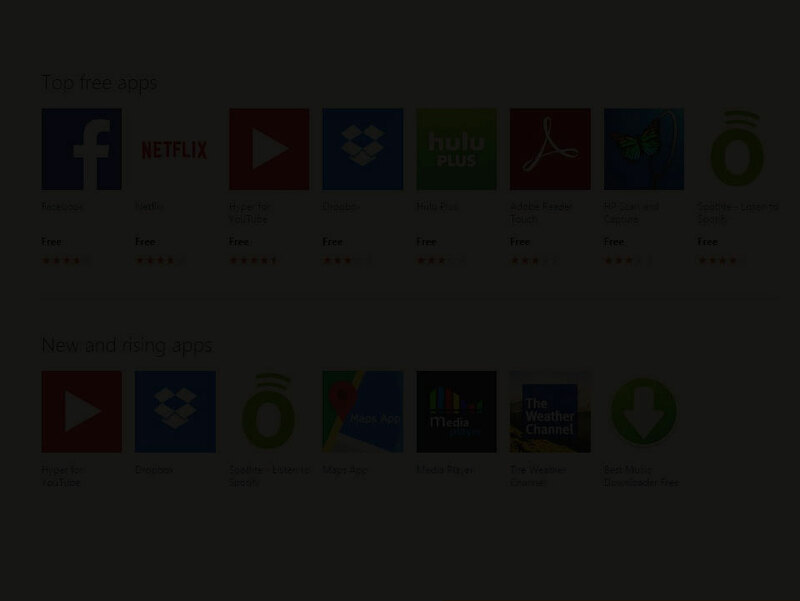 Alldocube KNoteGO equipped windows10 operating system,multi-tasking can help you get your job done faster.The windows10 store is your one-stop store,let Cortana become your real personal digital assistant,make your life and work more convenient. 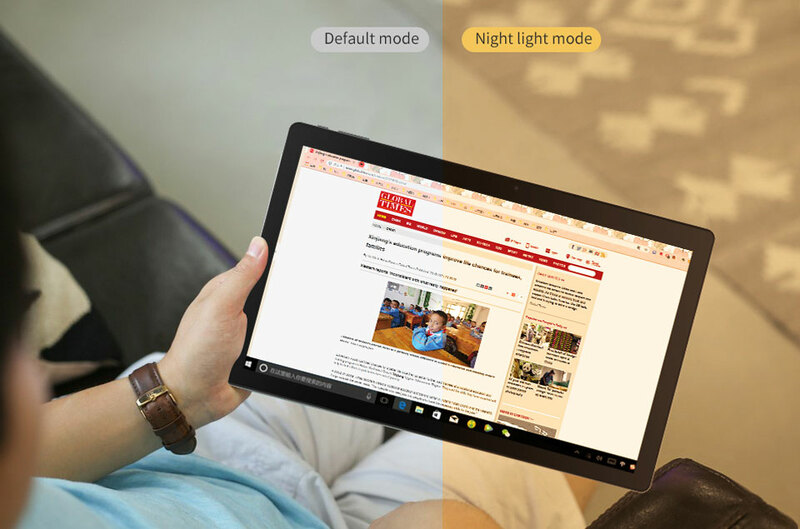 The adding new night light mode make your work, learning,entertainment more comfortable. The color of the display is made by the combination of three colors: red, green and blue, night light mode is reduced one of the cool blue, so the screen display color will become partial warm red yellow.